JOANNE MCNALLY, Ireland’s fastest rising comedy star, is coming to Galway, where she will perform her new show, Wine Tamer, in the Town Hall Theatre next weekend. 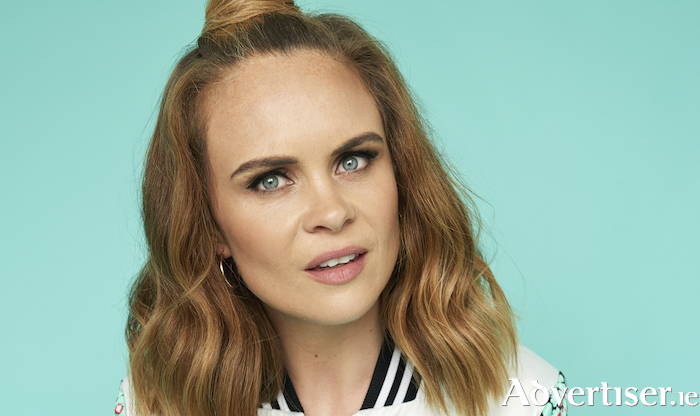 Joanne originally came to attention in 2014 as a co-host on Republic of Telly, before co-writing and starring in the stage show, Separated At Birth, and enjoying a sold out debut solo stand up show in Dublin. Since then she has gone on to perform alongside Kevin Bridges, Dara Ó Brien, Rich Hall, and Jason Byrne; starred in The Commute on RTÉ 2 and Soft Border Patrol on BBC NI. She has also presented and written her own TV documentary Baby Hater for TV3, while her one woman show, Bite Me, was nominated for multiple Fringe awards including Best Performer, Best Production, and the First Fortnight Award. She has also written for The Irish Times, Irish Independent, and The Sunday Times.